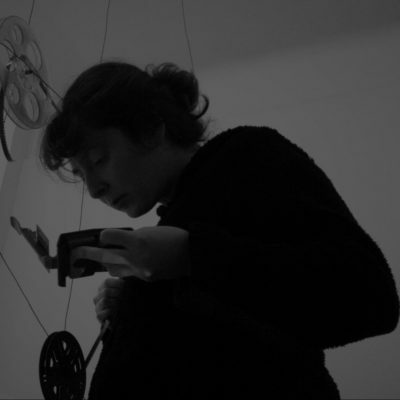 The Super 8-film footage that makes up the Film Métrage is unedited material that wasn’t selected in other works by Olivia Mihaltianu. 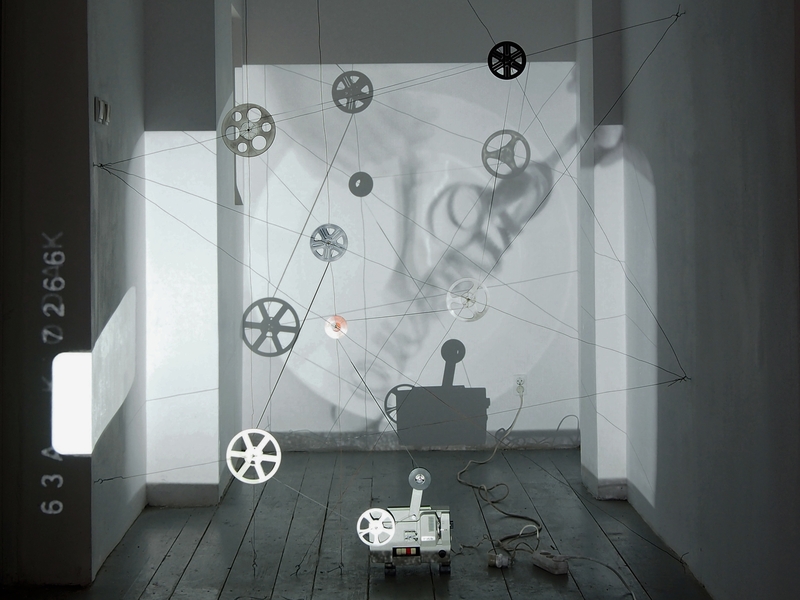 The choice to show them now, within an elaborate installation, reveals the selection process that is linked inevitably to a creation of narrative by means of images. By using footage that is actually destined to disappear, she plays with the negatives of external stories. 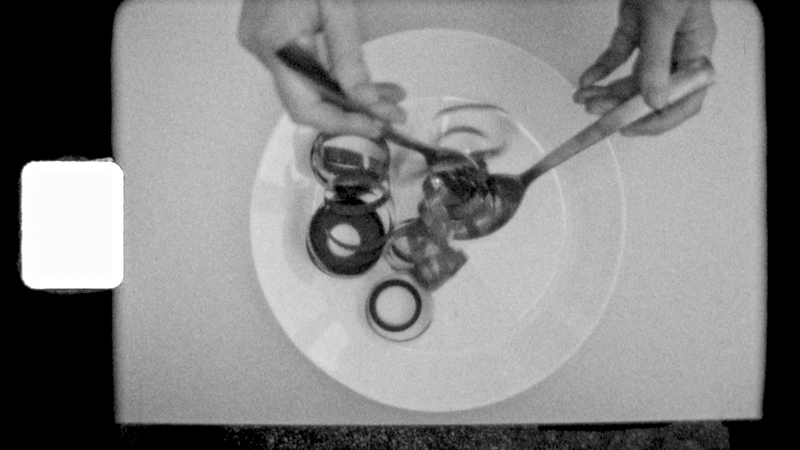 A beautiful dialogue arises from the juxtaposition of the prevailing aesthetics of the Super 8-film and the content of the images. 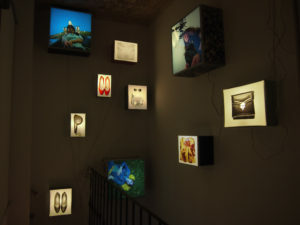 Its way of recording forms as a framed eye, where the laterals are black, and the film, marked by a blank spot of light, makes that all images bear like a stamp of identification. The loud noise the Super 8 projector makes, contributes to the dominant manner of showing the films that tries to deny any narrative. Content-wise the footage is shot over recent years and shows how our world is modernized by industrial and technical progress. It takes us to places where labour is taken over by machines; it shows monuments from the past and cities consisting of layers of history and modern expansion. When an archive is shown with blank labels that say: ‘Identification Tag’, it seems as if the content of the film actually speaks to its form. 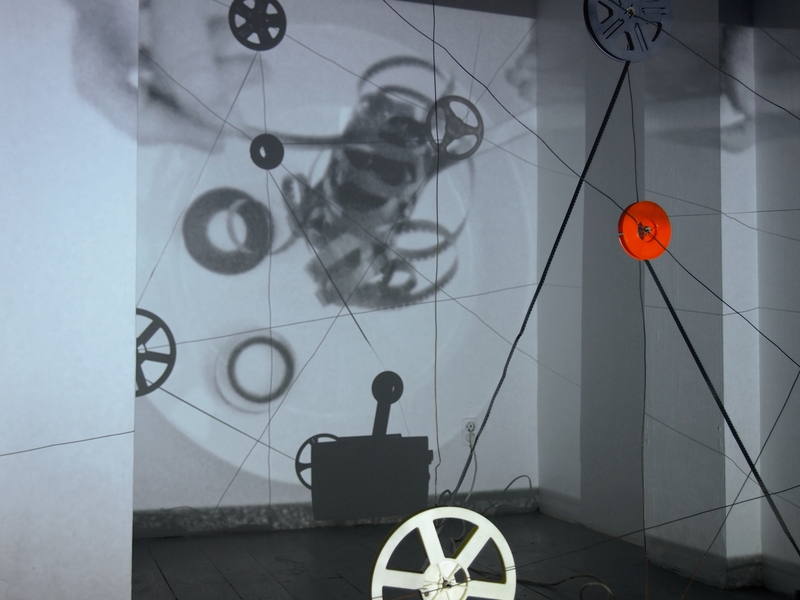 It produces a metaphor of the intent to classify our own world and grasping the passing of time by images. Recognizing the blank spots of an archive relates to the choice of the footage that was also obliterated by a selection process. Film Métrage plays with the expectation of seeing something dated that very subtly is challenged by the contemporary content of the images. It not only concerns how time is marked by the velocity of technical improvement but also what tools we have in order to look at our own world. How do we look at our changing city, our streets, our factories, our labour and craftsmanship, our traditions? The rapid developments of technique that change our daily lives become indicators of time when displayed in images. The way our world becomes perceived as dated and out-dated by the technical means that indicate what image belongs to our past, present or future. When technique is displayed by an image it immediately communicates a queue that indicates a certain period in (recent) history. 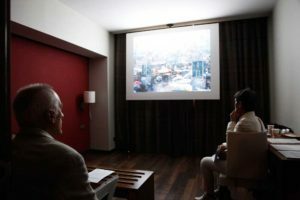 Therefore, the film is a critical homage to cope with the overload of images that reflect our own world and how we are consuming and digesting them.